Casement windows prices vary dramatically - think $400 to $1,050 for installation and window itself. 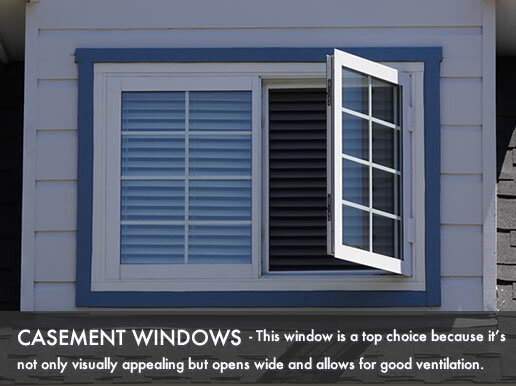 Casements are a top choice because they are not only visually appealing and offer great energy efficiency, but opens to allow good ventilation throughout the home. Entry level casement windows are often limited in their options and frame colors. Another consideration is that they usually use lower end glass and the frame will be vinyl, often with a hard plastic hand crank. Standard casements offer a wider selection of frame materials from low-end aluminum to high-end vinyl, wood or composite frames. The glass package is usually a low-E package with an argon fill. Being a higher quality, you have more frame color options available and better hardware, crank mechanism etc. Higher end casements come with a good warranty and will be available in a range of frame materials including fiberglass, aluminum, composite or wood clad. The frames are offered in a host of color and finish options. The glass is usually highly energy efficient with superior glass quality and fills, while the hand crank is made from the highest quality metal offering a top quality window. Installation pricing can vary between $100 and $250. If you are replacing your windows with the same size that are being removed, you can expect to pay at the lower end of the installation price scale - at around $100. In the event that your window opening needs to be resized or you need a full frame replacement, you can expect to pay the higher end of the scale at $250. For additional pricing, see our window replacement cost estimator. Buget window costs on casements start at $300 and top out at $500 for each installed window. Average window costs start at $500 and top out at $700 for each installed window. High end window costs on casements start at $700 and top out at $1,050 for each installed window.